Journey to your secret garden, a protected place of spirit and imagination where you can connect with your emotions, trust your insights, and rediscover peace. Garden of Bliss begins on the French Riviera, where Debra Moffitt, despite her glamorous lifestyle, feels empty. Realizing that financial success doesn't equal happiness, she looks inside herself and decides to make some changes. Join Moffitt on a transformative path, where she invites you to nurture this metaphorical secret garden in order to discover a blissful life. Find personal growth both inside and out as you connect with the Divine Feminine through nature. 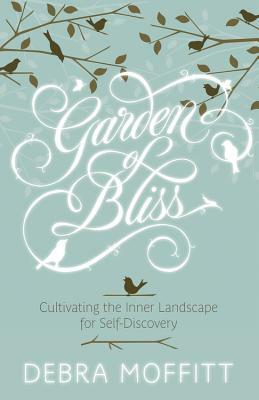 If you choose to explore your garden of bliss, a world of adventure opens within this sacred inner place of wisdom. "Like Eat, Pray, Love without the whine "
"If you are feeling depleted and spent, Debra Moffitt gently guides you to your inner space to refresh and inspire a serene state of joy, awakening, and creativity. Garden of Bliss is a must-read in today's harried world." Debra Moffitt is an author and teacher who leads workshops on writing and spirituality in the United States and Europe. She is a faculty member of the Sophia Institute, the Esalen Institute, and author of the award-winning. book Awake in the World.Her writings on spiritual practices appear in publications around the world. She resides in South Carolina. Visit her online at http: //www.debramoffitt.com. Debra also blogs at http: //www.beliefnet.com/, http: //intentblog.com/, and http: //www.debramoffitt.spaces.live.com.